This entry is part 7 of 14 in the series Housewarming Gifts. Whether you are looking for a housewarming gift for an eco warrior or you are trying to ensure your home is more environmentally friendly the Earth Pan II Eco Friendly 1o” Skillet in Espresso might just be the thing for you. 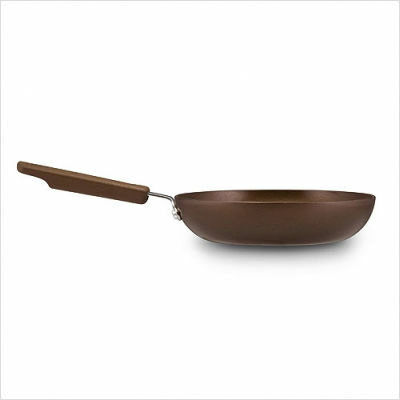 The non stick coating on this pan is made from sand and is not only easy to clean but it has outlasted a number of ceramic based cookware items in test. This pan comes with a silicone enhanced handle making it comfortable to hold and its aluminium construction ensures that it heats up quickly. Yes, it also passes my “practical head” test – it is oven and dishwasher safe!! Previous articleA Contemporary Bookcase Can be Sooo Much More than a Bookcase!